The 31st Bombardment Squadron Association is composed of 31st veterans and others who have a keen interest in preserving the memories of the Squadron and its activities during World War II. The 31st was one of four squadrons flying collectively in that war as the 5th Bomb Group, a heavy bomb group in the 13th Air Force. The 13th was also known as "The Jungle Air Force" to reflect the fact that it operated out of facilities and air strips carved from the jungles of selected Pacific islands. Thanks to http://31stbombers.org/ for the information. VFA-31 or Strike Fighter Squadron 31 is known as the Tomcatters, callsign "Felix", a United States Navy strike fighter squadron stationed at Naval Air Station Oceana flying the F/A-18E Super Hornet. The Tomcatters are the second oldest Navy Fighter Attack squadron operating today. The Fight31st er Wing (31 FW) is a United States Air Force unit assigned to the United States Air Forces in Europe Third Air Force. It is stationed at Aviano Air Base, Italy where it is also the host unit. Thanks for Wikipedia for the information. 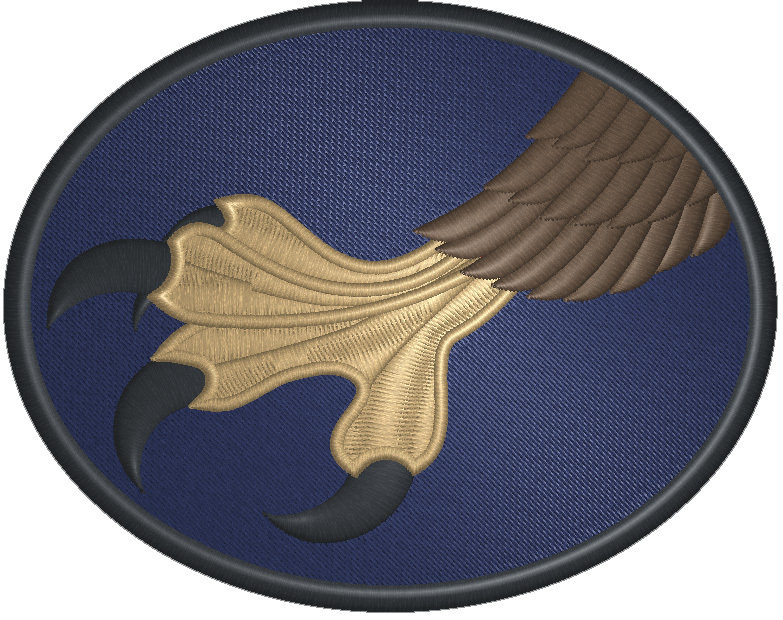 The 33d Flying Training Squadron is a United States Air Force squadron based at Vance Air Force Base near Enid, Oklahoma. It is a part of the 71st Flying Training Wing.he squadron was established as a medium bomber unit on Bolos, Marauders, and later B-25 Mitchells. Thanks to wikipedia for the above information. The 33d Special Operations Squadron is a United States Air Force unit, assigned to the 27th Special Operations Group, Cannon Air Force Base, New Mexico. The squadron operates the General Atomics MQ-9 Reaper.Thanks to wikipedia for the above information.Basic shipping included to most countries. Additional costs may incur for EURO, South America and African countries. The 34th Training Wing (34 TRW) is a wing of the United States Air Force based at the Air Force Academy in Colorado Springs, Colorado. The commander of the 34th Training Wing is dual-hatted as the Commandant of Cadets at the Academy. The 34th Bomb Squadron (34 BS) is part of the 28th Bomb Wing at Ellsworth Air Force Base, South Dakota. It operates B-1 Lancer aircraft providing strategic bombing capability. The 34th Fighter Squadron (34 FS) was part of the 388th Fighter Wing at Hill Air Force Base, Utah. It operated the F-16 Fighting Falcon aircraft conducting air superiority missions. Constituted as 35th Pursuit Group (Interceptor) on 22 Dec 1939. Activated on 1 Feb 1940. Trained with P-35, P-36, P-39, and P-40 aircraft. Two squadrons (21st and 34th) moved to the Philippines in Nov 1941. Thanks http://www.armyaircorpsmuseum.org for the information. The 35th Fighter Squadron (35 FS) is part of the 8th Fighter Wing at Kunsan Air Base, South Korea. It operates the F-16 Fighting Falcon aircraft conducting air superiority missions. The 37th Flying Training Squadron is part of the 14th Flying Training Wing based at Columbus Air Force Base, Mississippi. It operates T-6 Texan II aircraft conducting flight training.The squadron was first established as the 37th Pursuit Squadron and activated in January 1941. Thanks to wikipedia for the above information. The 38th Bombardment Squadron is an inactive United States Air Force unit. Its last assignment was with the 30th Bombardment Group, based at Kahuku Army Airfield, Hawaii Territory. It was inactivated on March 20, 1946. The 39th Flying Training Squadron (39 FTS) is currently part of the 340th Flying Training Group and is the reserve associate to the 12th Flying Training Wing based at Randolph Air Force Base, Texas.It operates the T-6 Texan II, T-1A Jayhawk and T-38 Talon aircraft conducting Pilot Instructor Training.